With gushing springs, clear-water streams, lush hardwood forests, and limestone bluffs rising hundreds of feet, the Ozarks offer enough paddling to fill a lifetime, including seven streams in the National Wild & Scenic Rivers system and three rivers protected by national parks. Paddling the Ozarks details 40 of the region’s best paddling trips—classic floats, hidden gems, scenic lakes, and challenging whitewater. 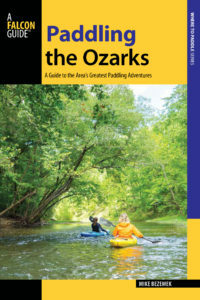 Waterways ranging from southern Missouri to northern Arkansas to Oklahoma’s Cookson Hills with year-round classics like the Current River, Jacks Fork, NF White, and Eleven Point make this an essential guide to paddling the Ozarks. 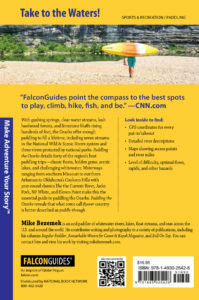 Paddling the Ozarks reveals that what some call flyover country is better described as paddle-through. For sale from local bookstores, Barnes & Noble, and Amazon.